Iowa DUI laws prohibit people from operating a motor vehicle under the influence of alcohol or any other controlled substance. Alcohol and controlled substances can impair a driver’s ability to operate a vehicle safely. Driving in an impaired state put the driver’s life at risk as well as other motorists and pedestrians. Iowa DUI laws promote road safety by prohibiting motorists from driving after consuming alcohol or another controlled substance. Any driver with a high blood alcohol concentration level is considered to be driving under the influence. Consequences for DUI convictions include fines, imprisonment, and driver’s license revocation. Blood alcohol content is a measurement of alcohol in the bloodstream. It’s difficult to determine alcohol consumption based on the number of drinks consumed within a timeframe. The effects of alcohol will vary differently compared to those around you. Blood alcohol content is typically measured as mass per volume. Factors that can influence the way your body absorbs alcohol include metabolism, body fat percentage, and medication. An occasional drinker might feel more affected by alcohol than someone who drinks more frequently. According to Iowa Department of Transportation, the blood alcohol concentration limit in Iowa is .08. 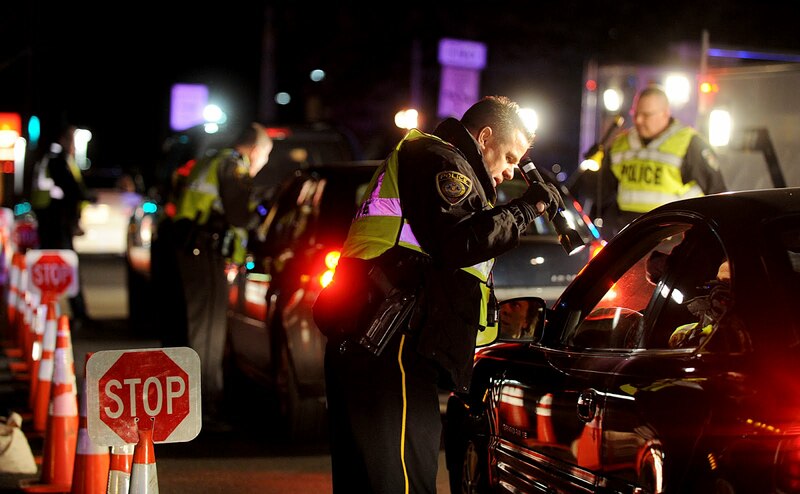 Many drivers receive DUI convictions when they are pulled over for routine traffic violations. Speeding and driving erratically are common indications that someone might be driving under the influence. Law enforcement might also pull drivers over for malfunctioning headlights or expired registration. Drivers should never refuse to pull over because evading arrest will only make the situation worse. It’s best to be honest with law enforcement and agree to answer any of their questions. Refusing to take a BAC test can actually result in harsher consequences. Police officers frequently request drivers to take a BAC test if they suspect someone has been drinking and driving. Factors that might influence law enforcement to request a BAC test include reckless driving, slurred speech, and the presence or smell of alcohol. Iowa DUI laws include the implied consent law. This law requires drivers to submit a BAC test to determine their blood alcohol concentration. Waiting to take a BAC test until you reach the police station has little effect on your blood alcohol level. Although some drivers refuse to take a BAC test, that decision can lead to more severe consequences. Iowa DUI laws impose harsh consequences on drivers who refuse to take a BAC test. People will appear guilty of driving under the influence when they refuse to submit a test. A BAC test can actually prove a driver’s innocence if they have not been drinking and driving. Drivers will automatically lose their license for one year when they refuse to take a test. Future violations will result in license revocation for an additional two years per offense. People will also have to complete a drunk-driving course and be evaluated for substance abuse. “Wet-Reckless” is a plea arrangement offered in some states that can decrease the consequences of driving while intoxicated. Drivers admit to reckless driving with alcohol involved in the incident. This kind of plea arrangement usually offers less severe punishments and can reduce the legal costs of DUI convictions. “Wet-Reckless” is not offered in Iowa, but an attorney might be able to negotiate a similar plea arrangement. Reduced sentences and fines are often restricted for first-time offenders. Drivers are more likely to receive a plea bargain if the incident didn’t involve personal injury or property damage. Iowa DWI laws impose a variety of penalties including jail time, criminal fines, legal fees, and license revocation. Drivers caught driving while intoxicated will immediately be taken to jail. Violators will have their vehicle impounded and be responsible for the fees to retrieve the car. DWI offenders might need legal representation in court. People can expect to pay at least $1,000 in criminal fines for a DWI conviction. Motorists convicted of driving under influence will also have their license revoked for 180 days and must pay reinstatement fees. A first offense DUI violator will have their driver’s license revoked for 180 days. A driver may apply for a temporary restricted license if he or she has not received any convictions or revocations in the past 12 years. Drivers must wait 30 days to apply for a temporary restricted license if an accident occurred or if their BAC level was more than .15. DUI offenders will be required to install an ignition interlock device if their BAC level was more than 1.0 of if an accident occurred. Iowa DUI laws have stricter consequences for second-time offenders. A driver is considered to be a second-time offender when they receive two DUI convictions within 12 years. Violators will have their driver’s license revoked for one year for a second offense DUI. Drivers must wait 45 days to apply for a temporary restricted license. Iowa law also requires convicted second-time offenders to use an ignition interlock for one year from the date of reinstatement. The penalty for third offense DUI convictions varies depending on the level of the offense. Third offense DUI charges are felony convictions and require violators to spend at least 30 days in jail. Drivers will have their license revoked for 6 years after receiving their third conviction in 12 years. Iowa DUI laws allow violators to apply for a temporary restricted license one year after their conviction, but they must install an ignition interlock device on their vehicle for one year. DUI convictions involving personal injury will be revoked for an additional year. Offenders involved in a death related DUI incident must wait two years to apply for a temporary restricted license. Fourth offense DUI violators can expect severe consequences for driving while intoxicated. Iowa DUI laws classify a fourth offense as a class “D” felony. Although the minimum jail sentence for this conviction is 30 days, violators could spend up to 5 years in jail. Fourth offense convictions might require people to pay as much as $9,375 in criminal fines. Many offenders are required to take a drunk driving treatment course and might be evaluated for substance abuse. The consequences of driving while intoxicated include personal injury, expensive criminal fines, imprisonment, and license revocation. The best way to prevent DUI charges is to select a designated driver or rely on public transportation when you plan on drinking alcohol. Iowa DUI laws become more severe for repeat violators. Become a proactive and safe driver today by choosing to drink responsibility. Drinking responsibly will not only prevent expensive fines and license revocations, but it could also save your life. Hey Buddy!, I found this information for you: "Iowa DUI Laws – A Comprehensive Guide". Here is the website link: https://www.duiauthority.com/iowa-dui-laws/. Thank you.